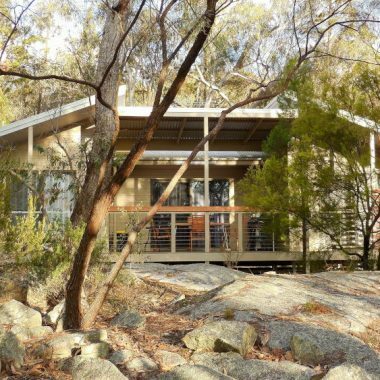 31 The Rocks Stanthorpe accommodation is designed with your comfort in mind. Ideal for a short break, romantic get-away or a longer stay. Each stylish, modern, self-contained villa has a wood burning fireplace and air conditioning. A continental breakfast basket is also included. The superbly appointed studio villas are complimented by a one-bedroom and a two-bedroom villa. The studio and one-bedroom villas are created with couples in mind. Each of our villas are set apart for privacy and in its own unique setting. 2-bedroom, modern deluxe villa with rocky outlook towards the western skyline. The Guest Lounge provides a cosy, comfortable place to mingle. Free Wi-Fi is available. Autumn: 9.5 – 22.1 Celsius. Temperatures are cooling and the leaves are turning vibrant colours. Winter: 1.0 – 14.8 Celsius. Spring: 8.9 – 22.6 Celsius. Summer: 15.6 – 27.4 Celsius.